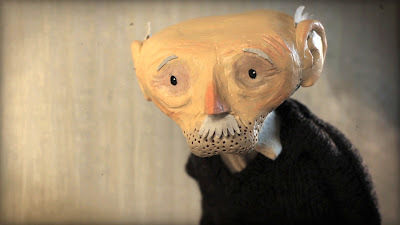 I'm delighted to announce that The Man Who Was Afraid of Falling has been nominated for a Bafta Cyrmu Award in the category of Short Form and Animation. There are three nominations in the category for the British Academy Cymru Award; Funday by Keri Collins, Ryan Hooper and Stephen Hanks and Sweet Sixteen by Gavin Porter, David Davies-Llewellyn and Pip Broughton as well as Falling. It's a huge honour to be nominated and to be in competition with such quality work. A significant step for the film and a celebration of the talented team who made the film with me. The awards ceremony will take place on 30th September at the Wales Millennium Centre, full details of the 2012 nominations here. From Scotland to Italy, my graduation film is still visiting festivals around the world. I'm very excited to say that The Man Who Was Afraid of Falling will be screening at the Edinburgh International Film Festival. I'm also very proud that it's been shortlisted for the Mclaren Award for New British Animation. I won't be able to make it up to the festival as I'm busy rehearsing The Life After in Bristol but if you happen to be in Edinburgh on Tuesday 28th June Afraid of Falling is screening in McLaren Animation 3 in Cameo 1 at 17.00. 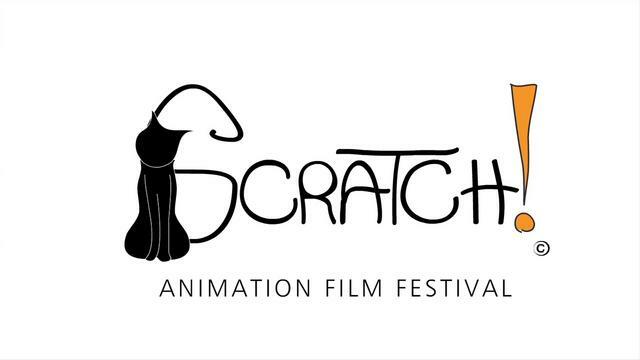 The film will also screen at Scratch International Animation Festival in Lecce, Italy. Thursday and Friday I was back in Newport as The Man Who Was Afraid of Falling returned to Wales to screen at Ffresh Student Moving Image Festival. The film was nominated for two awards: Best Animation (which We Weren't The First Ones Here won last year) and a new category Best UK Graduate Animation. 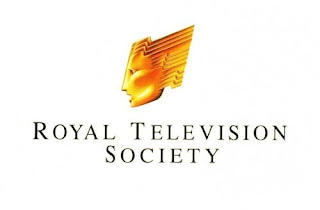 I didn't win either but did win 2nd Prize Royal Television Society Student Animation Award which was nice. The RTS Wales centre described the film as having "sophisticated imagery and music". Ffresh festival goes from strength to strength; this year had an impressive programme with guests such as Mike Leigh (Secrets and Lies), Asif Kapadia (Senna) and Jonathan Caouette (Tarnation). My festival highlights included a panel discussing the differences between festival circuit and internet release with Liz Harkman from Encounters and Matt Lambert, editor-at-large for Motionographer, as well as an informative talk by Merlin Crossingham from Aardman who is Creative Director of Wallace and Gromit. I'm excited to announce that The Man Who Was Afraid of Falling has been nominated for two awards at Watersprite International Student Film Festival in Cambridge, UK. The film was shortlisted a few weeks back for 'Best Animation' and 'Best Original Soundtrack' for the film's fantastic score by Kit Wilson. The film made it through the second round of judging by industry professionals in London and is now in the final nominations for the two categories. This is really exciting for several reasons, one being that this is the first nomination for the film's music. James Nee, director of Ffresh Festival in Wales described the score as 'great' and 'perfectly suited to the story and style of animation'. Kit Wilson is a composer based in London, currently studying for an MMus at TrinityLaban Conservatoire of Music and Dance. The majority of his work is studio-based, with a particular emphasis on synthesising disparate styles around complex grooves. His music draws heavily on the rhythmic ideas of contemporary jazz and metal, and explored how to introduce these ideas into a number of contrasting genres. 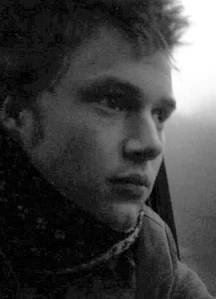 You can hear some more of Kit's music on his Soundcloud and you can watch the other films Kit and I have collaborated on here: Curiouser and Curiouser (2007), The Scientist and the Omnipotence of Dream (2008). Since the beginning of 2012, The Man Who Was Afraid of Falling has been selected for six more festivals and has been shortlisted for eight awards, a huge reward after all the hard work and I'm thrilled that the film will be seen by more audiences around the world. 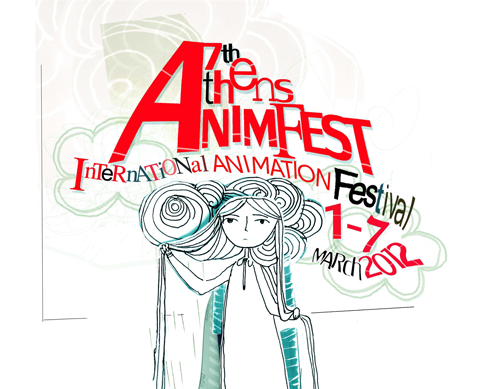 I'm pleased to announce that The Man Who Was Afraid of Falling has been selected to screen at One Voice festival in Bournemouth and Animated Exeter in february and also Athens Animfest in March (details on the screenings page). I went to Animated Exeter back in 2008 with composer Kit Wilson after finishing Curiouser and Curiouser. 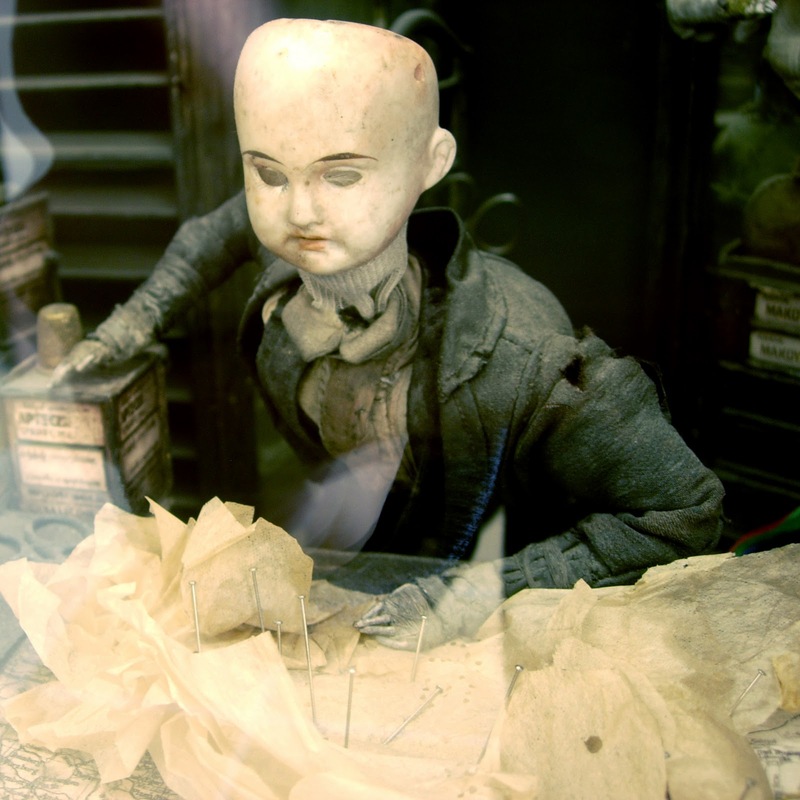 That year the festival had a brilliant exhibition by the Brothers Quay entitled Dormitorium. The Quay's work has always been an inspiration to me and I have written about their work in several essays over the last few years. Here's a picture of a tailer puppet from Street of Crocodiles (1986) in one of the intricate sets. This year the festival programme looks equally exciting and I'm particularly looking forward to seeing the talk 'Crossing the Celluloid Divide' by multi media theatre company Forkbeard Fantasy. I recently saw a brilliant exhibition of their work at the Southbank Centre in London, a rare chance to see the 37 year history of such a vibrant and experimental theatre company. 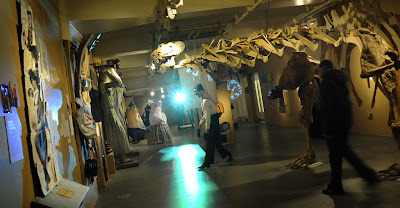 On display were puppets, drawings and designs, interactive sculptures, costumes, videos of performances and photographs. Animfest will mark the films first screening in Greece, I'm happy it's reaching all these different places. The last time I was in Athens I woke up on the roof of a building... I'd love to visit again.